Are you one of the many who often overlooks how important it is to organise your self storage units? Or has it only cross your mind when you need to look for some important items which are stored in your storage unit? Then, consider how to manage your possessions before moving anything. Remember that with proper organisation techniques, you can easily go through your stuff in times when you need to check them out. Organising your things can avoid spending too much time in searching important items. You can also avoid safety hazards like damaging items on the stack. So, to help you out, here are some remedies on how to organise your storage unit to keep it clean and accessible. Before you organise your storage unit, be sure that you’ve chosen the right size of space for your needs. It’s better to have an extra space than cramming your space unit with all the stuff that you need to be stored. First, visualise how much space you will need to store your belongings. Then, make sure that you have the right size of the storage unit. By following this tip, everything could be arranged in a space-saving manner. You can also get a word from the experts about what size fits your needs. Commercial Moving service may help you out with this problem. You can save yourself more time later if you pack your belongings with a plan in mind. For some instance, you need to determine which items you will often use as possible. Pack them all together in one box and put some labels on it. Hence, for items that you think you will rarely use, place them together in a single box and put it at the back. On the other hand, for boxes that you will frequently use, place it near in front of your storage unit. This will make it more accessible. You may also make a content list for each box so you will know which box contains which items. Labelling and listing which box contains each item will save your time when you look for it. In addition, when packing your items, don’t leave any empty space in the box. As it may cause the box to collapse especially if you put some heavy boxes on top. Also, try to use at least two or more sizes of self storage boxes for an easily stacking of your belongings. Packing your belongings according to a plan helps you to easily organise your storage unit when you do the move. Before unloading your belongings to your, make sure to stick to your plan. But if you really need to change something, take note of this changes. In this way, you can avoid confusion when you need to look for something. Also, as you move all your items into your storage unit, always keep the labels of the boxes where you can easily see them. This will help you find things easier if needed. Furthermore, if you have enough space in your storage unit, try to leave a walkway on the centre. This will help you retrieve items with ease especially if the items are stored at the back of your storage. By this, it will give you easy access to your stuff. If you’re storing a lot of belongings in your storage units, it could be beneficial if you could create a map in addition to your list. Keeping track of where the important possessions are, will be easy and hassle-free for you to access your belongings. In this way, there’s no need for you to spend too much time searching for which box and where you have placed things around your storage unit. 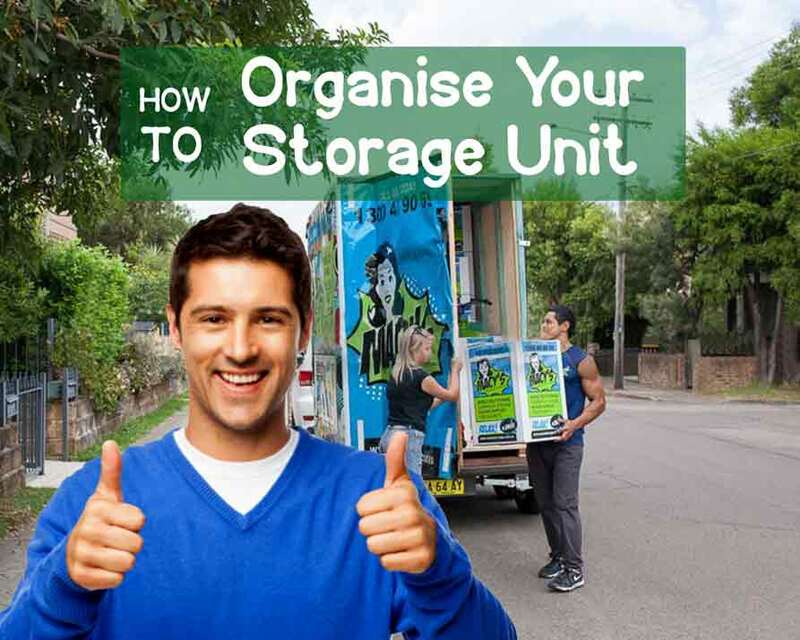 Organising your storage unit can save you a lot of time, money and hassle. No one wants to walk into their storage unit in a year only to have a full-on treasure hunt looking for an item that should’ve been easy to find. Following this remedies on how to organise your storage unit helps you avoid this problem along the way of your transfer. Do you need more tips about Storage Units? Also, there’s more to self storage than you may not know yet. Check out how much value can bring you, read our article benefits of using self storage today! This entry was posted in Storage and tagged long term self storage, Macy's Mobile Self Storage, self storage box, self storage units.